Estimation and backlog refinement are essential tasks for every scrum team. Although the product owner — at least officially — is in charge of keeping the product backlog at ‘peak value delivery’, they need the assistance of the entire scrum team to do so. A cross-functional and co-located scrum team working independently of other teams is an ideal scenario. The reality is that most scrum teams will often be dependent upon deliveries from other teams (e.g., API endpoints) and deliverables from the UX or UI department. Writing user stories as a team: When something should be built, the product owner first explains why and provides the necessary background (i.e. market intelligence, results from experiments, user interviews, statistical data). Writing user stories, then, is a corresponding and collaborative effort involving the entire scrum team. The process should create a shared understanding of what will be built and for what reasons (the product owner providing the ‘why’, the scrum team detailing the ‘how’, both defining the ‘what’), and a shared sense of ownership among team members. A well-refined product backlog probably has user stories detailed for about two or three sprints, and probably less than half of these stories conform to the scrum team’s definition of ready. There may also be additional user stories that no one except the product owner is working on. It used to be that a product owner would explain high-value user stories in a product backlog to the scrum team during sprint planning. The team would then turn these into more detailed user stories, and estimate the subsequent stories. There is now, however, a consensus among agile practitioners that working on these high-level user stories in separate backlog refinement and estimation meetings — before sprint planning — improves the quality of the stories and thus the outcome of the team’s work. Sprint planning shall create a sense of ownership among a scrum team’s members by enabling them to make a valid commitment to the items in the sprint backlog. However, this only happens if a scrum team’s uncertainty about the quality of the user stories they’re receiving is eliminated. To relieve the scrum team from this uncertainty, a scrum master should support the product owner in running weekly product backlog refinement and estimation sessions, only allowing into sprint planning those user stories that meet the team’s definition of ready standard. Sprint planning I: During the first part of sprint planning, a product owner presents to the scrum team the product owner’s choice of the most valuable user stories from the product backlog as a ranked list. The team then selects from the top of the list down those stories it can commit to delivering by the end of the sprint — taking into consideration their present constraints including, for example, available capacity, or the required technical tasks such as refactoring that need to be addressed during the same sprint. Sprint planning II: During the second part of sprint planning, the scrum team adds detail to the user stories in the sprint backlog (e.g. splitting the stories into tasks, identifying parts of the stories that need further clarification, and agreeing on who will be working on what tasks). The product owner does not necessarily need to participate in this second part of sprint planning but does need to be available to answer questions that the team may have. If user story preparation is handled well, an entire sprint planning session might be completed within less than two or three hours. Productive sprint planning meetings require a healthy scrum team. Dysfunctional teams will not achieve the level of cooperation required. A sprint planning with dysfunctional teams will only result in a futile and painful exercise. A scrum team should usually avoid allocating more than 80% of their capacity to new tasks — including user stories, technical tasks, bugs, and probably spikes. Flow theory shows that a 90% or higher allocation of available capacity will not lead to a team achieving their peak performance. Bugs, refactoring, and technical research all require regular attention to avoid building-up technical debt. An effective scrum team allocates at least 25% of their capacity to these tasks. Incomplete and poorly prepared user stories seriously hamper the effectiveness of a scrum team. These stories should never be selected for the sprint backlog, but instead sorted out during product backlog refinement and estimation meetings. Standups are meetings well suited to discuss a current sprint’s progress: is all going as planned, or does the scrum team need to adjust? Standups are a convenient time for a scrum team to meet and communicate with a project’s or product’s stakeholders. Standups cannot fix, among other things: a dysfunctional organization, a dysfunctional scrum team, an inadequate product backlog, a sprint planning session gone wrong, low-quality user stories, or a missing product vision. Standups are valuable if the scrum team is already collaborating well and the basics — such as the product backlog, and sprint planning — are in order. The more experienced a scrum team, and the better the internal communications, the more a standup will seem a time-consuming ritual of little value. An advanced scrum team may consider virtual meetings instead of real meetings using, for example, a Slack channel. A two-person scrum team does not necessarily need a formal standup — meeting for coffee would be a practical alternative. There is something wrong with a scrum team whose members do not communicate impediments before each standup. It’s possible they’re acting more like a group of people being in the same place at the same time pursuing a similar goal than a scrum team. Standups are not reporting sessions for the benefit of product owners or participating stakeholders. Offline boards are valuable: physically taking a card and moving it instills a sense of ownership of a user story. (This is the same mental model why sales-people want you to touch the merchandise before a making purchase.) If you must let go of either an online or offline board and you are a co-located team, consider letting go of the online board. Retrospectives should encourage self-expression, thereby making it easier for a scrum team to uncover the concerns and frustrations that its members may be harboring so that strategies may be devised to overcome them. Retrospectives will only improve a team’s collaboration and performance if the team considers these meetings a safe place to provide honest and constructive feedback. The blame game is not helpful. During a retrospective, the members of a scrum team should focus on how to improve a situation — and avoid blaming one another. Some scrum teams always include the product owner in their retrospectives, while other teams insist that the product owner should be expressly invited. It’s best not to hold retrospectives at a team’s workplace. Distance makes it easier for team members to reflect on the sprint. It’s also helpful to regularly change locations for the meeting. Being in a new locale helps to prevent boredom (and team members ‘checking out’). The format for a scrum team’s retrospectives should be changed regularly. The same format should not be run more than twice. Smartphones, tablets, and laptops should not be permitted at retrospectives so that the members of the scrum team are not distracted, and can focus on contributing to the meeting. All issues, concerns, and frustrations, should be documented — even if just temporarily using sticky notes. Though it’s always better to keep a formal document or file. Every new retrospective should start with reviewing the status of the action items decided upon during the previous retrospective. The purpose of metrics, generally, is to understand a current situation better and gain insight on how it’s likely to change over time. A metric is a leading indicator for a pattern, providing an opportunity to analyze the cause of change — and act appropriately in due course. Metrics in an agile context are not used to manage, and certainly not micromanage, an individual (particularly the creative worker) — contrary to traditional command-and-control management structures. Agile practitioners strive for autonomy, mastery, and purpose as explained by Daniel Pink. Agile practitioners address personal development with metrics by applying methods like Objectives and Key Results (OKR). The experienced agile practitioner realizes that autonomy and accountability are equally important for self-organized scrum teams. Without metrics, both autonomy and accountability are limited. The metrics most suitable to agile reflect either a team’s progress in becoming agile or the organization’s progress in becoming a learning organization. Qualitative metrics typically reveal more than quantitative metrics when applied to the scrum team. Quantitative metrics provide more insight than qualitative metrics when applied to the organization. Any metric used for agile must be tailored to the organization. The metrics that the scrum master should be tracking are only those that apply to the scrum team. Metrics that measure the individual should be ignored. A metric’s context should always be recorded to avoid misinterpretation. Parameters that are easy to follow should not be measured for that reason alone — especially if a report is readily available in the project management software being used. The ‘best practices’ of and ‘lessons learned’ by other organizations during their transition to scrum may indicate a direction to take when transitioning, though the context of their transition may not be comparable: what worked for Spotify may not work for General Motors. Every transition should start with understanding the ‘why’: why should the organization become agile? Improving the predictability of delivery dates. Mastering continuous product discovery and delivery (thus minimizing risk). Agile practices’ benefits need to be sold to an organization before beginning a transition — agile is not everybody’s darling, and personal agendas will be affected by a successful transition. A transition will encounter inertia and resistance to change directly proportional to the size of the organization. How an agile transition should be undertaken depends upon many factors, including an organization’s industry, regulations and compliance rules, the size and age of the organization, workplace culture, the maturity of an organization’s products and services, team sizes and the number of teams, and current project management practices. How a transition is undertaken should be determined by the goals of the organization — what is hoped to be achieved. A successful agile transition requires the backing of C-level executives; a bottom-up approach is futile. The first step of any transition to scrum is the creation of the first scrum team. There is a huge difference between ‘doing Agile’ and ‘being agile’. Transitioning successfully means becoming — and being — agile. In an organization transitioning to scrum, future scrum masters should be agents of change rather than drill sergeants — this is by design, given their lack of proper authority. Creating a ‘happy agile island’ for the product and engineering department is a valid objective. However, in comparison to breaking up functional silos and creating a learning organization, it is likely to deliver a lesser return on investment. To be a successful scrum master, you will need to have a holistic understanding of the product creation process. You will need to be a part-time agile coach, too, dealing with organizational impediments and constraints, while training other members of the organization and looking for prospective change agents that may join your course. You need to sell ‘agile.' You need to win hearts & minds within the organization to overcome its inherent resistance to change. Hence, organizing scrum ceremonies is just a small part of a scrum master’s job. Which relevant scrum master theses are missing to describe role in a better way? Please share with me in the comments. 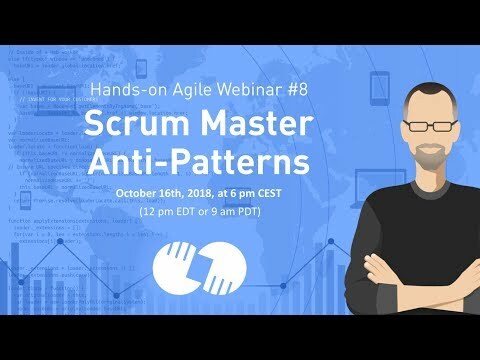 I also think, “Being a scrum master does not entail, and should never entail, enforcing processes.” has to be further specified. I – as SM – don’t put any value on “enforcing processes”. I don’t think I could do my job as coach/mentor, when the team thinks of me as some kind of Scrum Guardian. Also when aiming for management I would have chosen a different job – but to organization who puts the SM in place has expectations about the process. (Really) self-organized teams could very quickly modify every aspect of scrum when not slowed down by anyone. I too wanted to discuss: Being a scrum master does not entail, and should never entail, enforcing processes. My personal take is that there are times when it is both useful and appropriate for a SM to “stick to process” – mostly when a team is in Shu. Thanks for sharing. Your material is really helping me and the teams forward. If there is anything we can do to contribute in return, feel free to reach out! Thanks a lot for your feedback, Sjoerd! @1: That is the usual approach. To my experience, with most teams, it will work out in the end. However, some people are not willing to embrace agile practices, and they will let you know in the process. I believe that even in this case, a scrum master shall not enforce processes even if that means that the team in question in its current composition may not adapt Scrum. @2: If the team is in control that approach might work. If the problem is a result of the organizational structure, the team will have little influence on that in the short term. These theses are really helpful! “A scrum master shouldn’t enforce, but instead demonstrate the value of upholding the empirical process control of transparency, inspection, and adaptation”. This is often indeed the case. In my view, Scrum teams should strive to being more cross-functional in such scenario, ie. steps towards making it an integrated whole, to be able to deliver working increments. The team can list certain dependencies as DoRs and the Scrum Master could strive to resolve dependencies if they become an impediment. Given this thesis, I am wondering what stance a Scrum Team could take (according to you).